Seacrest Studios Charlotte Turns 3! 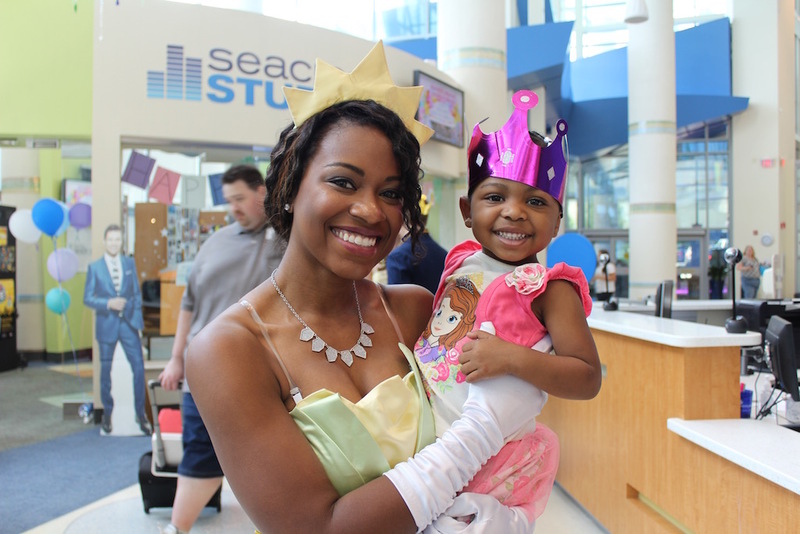 July 29th marked a very special day at Levine Children's Hospital -- Seacrest Studios turned 3 years old! To celebrate, studio staff hosted a huge birthday party full of games, arts & crafts ("Make Your Own Mic") and of course delicious cake! Additionally, Anna & Elsa from Frozen, the Disney Princess Crew and their Princes, Indiana Jones, Captain America and Misty from Pokemon made appearances at the party and in the hospital rooms! To top it all off, American rock band Taking Back Sunday and local Charlotte artists, Ellie Morgan performed for our patients. Happy Birthday Seacrest Studios!